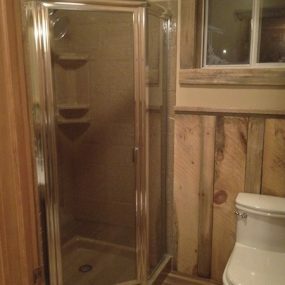 A man came to Andrew wanting to re-do his old run down bathroom for his wife. 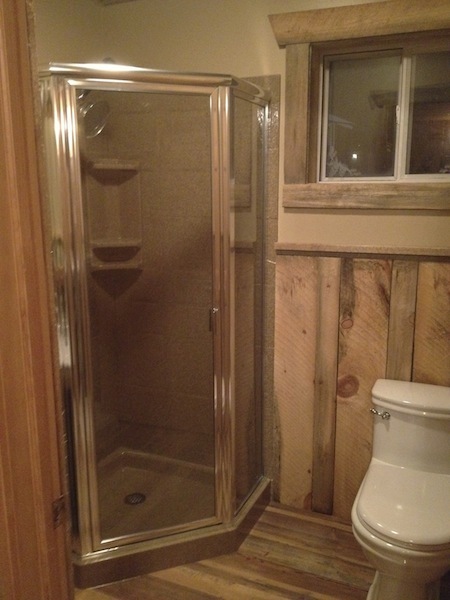 She really wanted to re-do the bathroom for some time, so he decided to get it done for her. 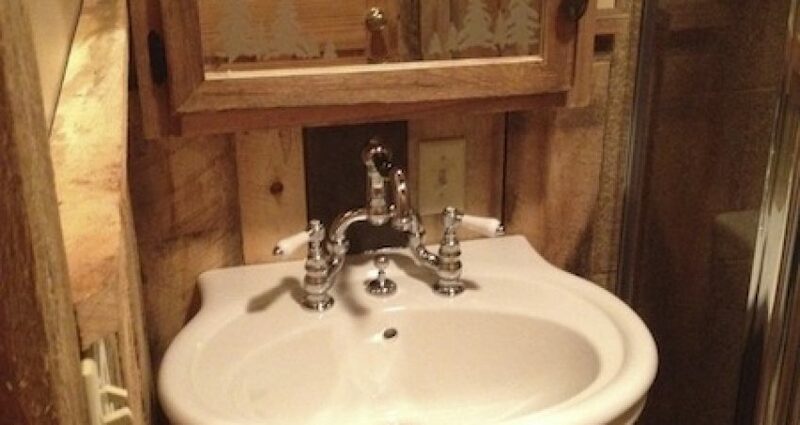 She loves the old rustic look, so that is what is got. 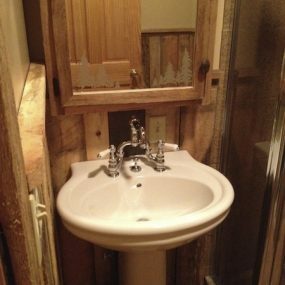 Andrew worked closely with the husband to make sure that no detail was overlooked, they wanted this bathroom to be just right when she saw it. 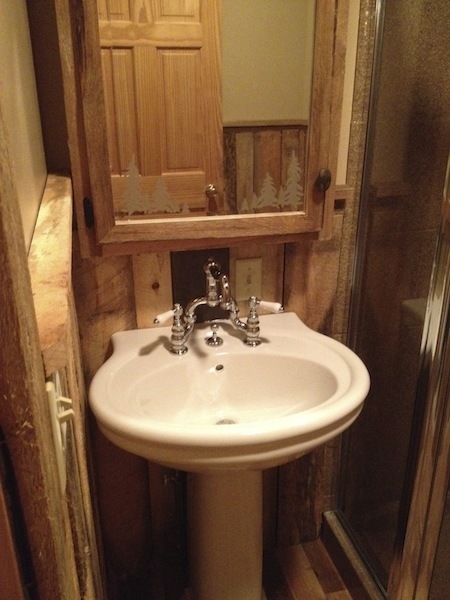 The walls are covered in wood to enhance the rustic/cabin feel of the bathroom. They also used a etched glass with a cabin like picture and neutral paint colors. When they were all complete, though the bathroom is small..it sure is beautiful, and most importantly she LOVED IT!